Twenty Totems: Alterac Valley 2.4: "Join as Group" is BACK! 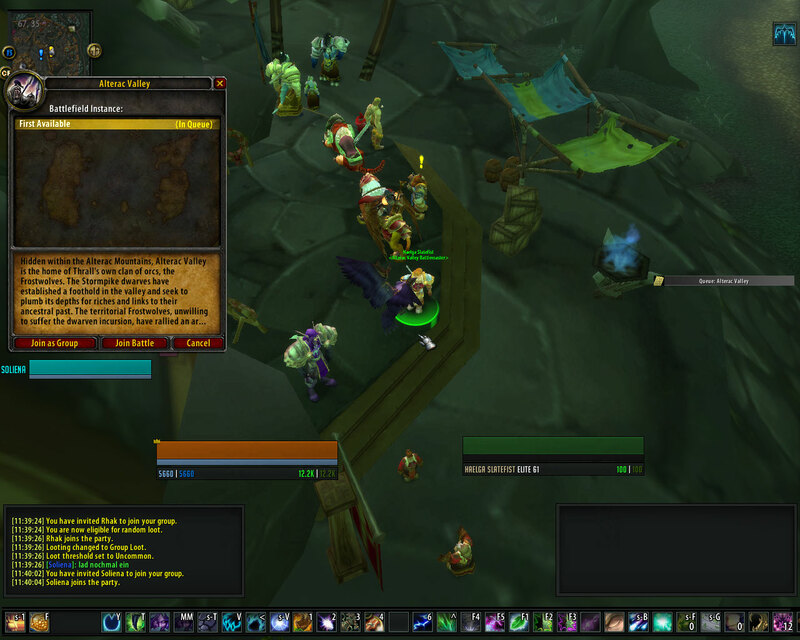 Our friends over at World of Raids are reporting several undocumented changes found on the PTR. Most are trivial, but one caught my eye... JOIN AS GROUP is back in AV! Up till now, we've had to use in game mods (I use AV Enabler) to get all of our toons into the same AV, and it's not always successful. That all changes in the next patch! 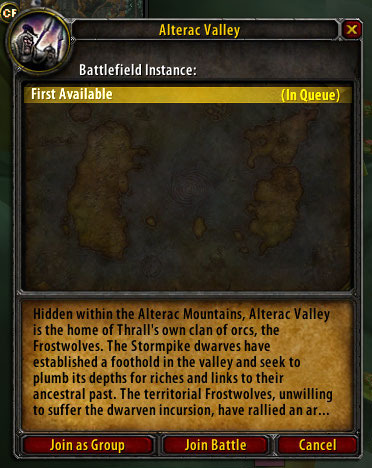 I wonder if AV Preform enabler still has a slight advantage in that people are queued seperately and thus their gear and overall group gear isn't seen as "premade" and we get grouped with PUGs on the other side? Must find out! Interesting. Thanks for sharing, found you through Google.